Over their combined 50-year development careers, the principals of Ratkovich Properties have collectively developed, or have under development, projects with a value of nearly $1 billion. 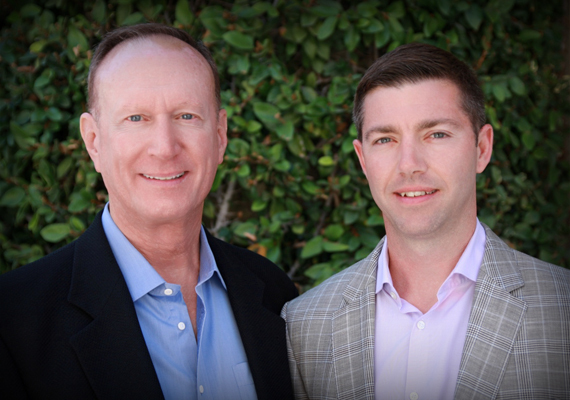 Cliff Ratkovich, President, is a seasoned real estate developer who has planned and built some of Southern California’s most notable residential, commercial, industrial and mixed use properties. Over his career, Cliff has managed the full spectrum of the development process, cultivating a talent for envisioning and realizing developments that improve the quality of urban life. He also has expertise adapting historic buildings, creating urban villages, and developing infill sites. Rob Dodman, Principal, is an entrepreneurial developer and finance executive with a focus on financial underwriting, entitlement processing, project design and construction management. His experience spans from retail and restaurants to urban residential, mixed-use and historic adaptive re-use developments. In all these efforts, Rob brings a passion for building personal relationships as well as meaningful and lasting projects that proudly serve the communities in which they reside. Giving Back is part of our commitment to building community. Ratkovich Properties contributes a portion of our profits to efforts that improve living conditions near and far. In addition to supporting non-profit organizations in the communities in which we develop, we support Tapestry Homes, a non-profit organization founded by Cliff and his wife, Rose, that provides safe and secure housing for abandoned, neglected and abused children in the squatter community of Kayamandi, South Africa.